Worried about not getting enough business through your venture? Every name has a powerful number attached to it and plays a pivotal role in how things function around us. Which makes it important to check Name Numerology Compatibility at the earliest. A name might look pretty but is not necessary that it would reflect our personality. And when it comes to choosing the name of an organisation or a company, one must really pay attention to if both the name of the person and the company match so that the vibes do not differ. Many people believe that every planet has a set of special vibrations attached to it and when it crosses with that of our own name, some sparkles are bound to fly, but they must settle with time. It is of utmost importance that you consult our expert Numerology Specialist and get Name correction by Numerology done to receive maximum benefits in your business. 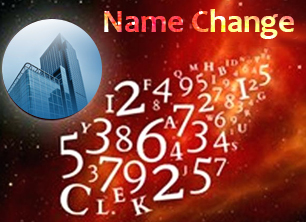 A comprehensive report with Numerology analysis for your name. In-depth study of Business and Name as per your birth date. Name Numerology would help you bring what's best for your business to the fore. By getting a Name Numerology Consultation from a Numerology Expert you can work towards maximising your business venture. The Personal Numerology Report would shed light on malefic and benefic numbers both and how they affect your life. The Name Correction prescribed would maintain a steady balance between your income and savings. It would protect your business form any harm that might befall. Potent remedies would further shield it against all the malefic and negative issues. It protects your business from legal and litigation matters. Yes. Every report prepared at Future Point comes with its brand name issued, and we take that responsibility seriously. We have been the oldest and longest players in the Astrology Market and instead of boasting about it, we continuously strive hard to prepare ourselves for winning more battles. The Personalised Reports are assigned to our Numerologist Experts and the answers are penned down by them after a careful and in-depth study of the information provided by you, thus owing to its genuineness. The personalised reports are handwritten by our experts, thus take a little longer to reach you, just like every good thing takes time. However, our window is of 5 working days, so you can expect to receive your report on or before 5 days. Definitely Yes! We strive hard to maintain the confidentiality of our clients. So any information that you share with us will be kept 100% safe with us. Under no condition whatsoever the information would be shared with anyone come what may. The Personalised Numerology Report would contain everything that the features mentioned above stated. You will also be getting preventive measures, and Numerology Remedies and Numerology Tips and Tricks that won't get a separate corner but would be seamlessly incorporated in your report, that will be penned down by an Expert Numerologist. With this report in hand, you can be all set to get your business back on track in no time. After successful placement of the order, your report would be assigned to our expert and he/she would start working on it as soon as possible. After carefully examining all the information entered by you and preparing his/her analysis they will start penning the solution down and you will be updated about the same. The reports can be viewed on Futurepointindia.com after logging in to your account. Having a successful business venture is everyone's dream and thus this report stands the tallest chance of bringing luck and prosperity in your life. You will be surprised at how the magic of numbers works effectively with the science of Astrology. 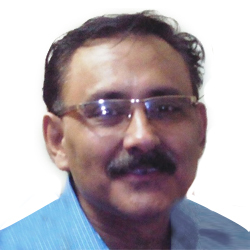 You can also get benefits from the Numerology Consultation that is specially curated for you by our expert astrologer. You can always reach out to us in case you need more clarification regarding your Astrology consultation. You can mail us at support@futurepointindia.com or call us at 011-40541008 or 9910080002. We will get your queries answered from the concerned consultant within 48 hours.